When it comes to all things food, our Chief Culinary Officer, Alexander Plotkin, is a fountain of knowledge. He concerns himself daily with making Tovala Meals the best they can possibly be, drawing from experience working at world-class restaurants Noma and Alinea. We sat down to talk to him about spatchcocking, a funny word with very cool results. Itâ€™s a method featured in our latest chef-created recipe on the Tovala App and perfect to learn about this time of year when weâ€™re cooking up birds a lot more than usual. So, letâ€™s start with the most basic and most important question: What does it mean to spatchcock a chicken? Chef Plotkin: Itâ€™s really just removing the spine or backbone of a bird so youâ€™re able to flatten it out on a tray when you put it in the oven. Itâ€™s the same as butterflying a whole bird. Youâ€™re getting rid of that cavity of air inside your chicken and ensuring all of its parts cook a lot quicker and a lot more evenly. Is this something that can only be done to chickens? CP: Nope, definitely not. You can spatchcock pretty much any poultry, from a chicken to a turkey. Itâ€™s a great way to cook a holiday turkey! Thatâ€™s awesome! So how exactly does cooking a spatchcocked chicken differ from cooking a chicken whole with its backbone intact? 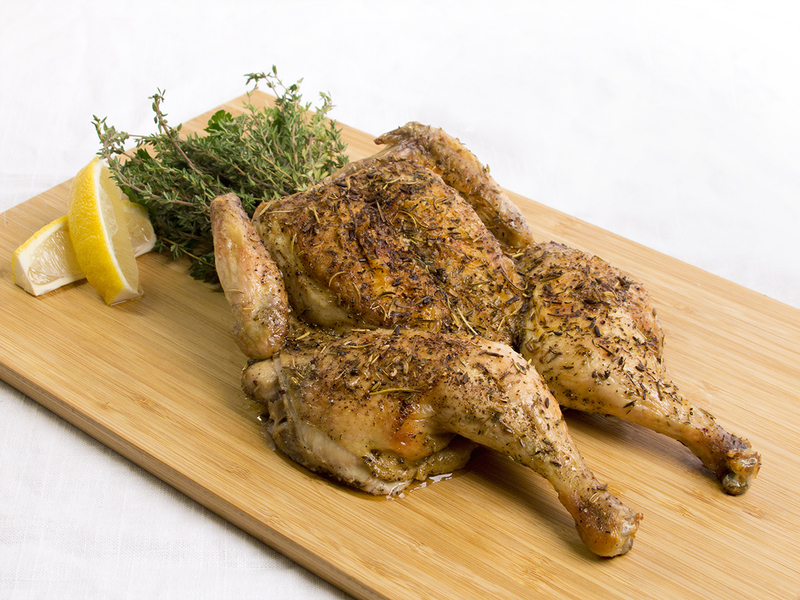 CP: Usually when youâ€™re roasting a chicken, the thighs and breasts cook differently. The birdâ€™s breasts are exposed to more heat than the legs, causing the breasts to cook faster while the thighs need time to play catch-up. Then your chicken breasts end up overcooked. Spatchcocking allows the different parts of your bird to cook more evenly. The thighs, breasts, all the different parts, are being exposed to a more equivalent amount of heat when you flatten it out. Youâ€™re also exposing a lot more skin when you spatchcock your birdâ€”skin that would otherwise be trapped underneath, like on the legs. That means a better, crispier skin on your bird, too! How much time does spatchcocking actually save you? CP: A lot! It depends on the size of the bird, but on average, cooking time is reduced by at least a third when you spatchcock it. So if I wanted to buy a whole chicken and spatchcock it at home, would that be hard to do? Is this chef-only territory? CP: Not at all. Itâ€™s something you can do yourself, but honestly, the easiest way to go about this is to just ask your butcher or the meat counter at your local grocery store to do it for you. If you ask them to spatchcock or butterfly it, theyâ€™ll know what to do. 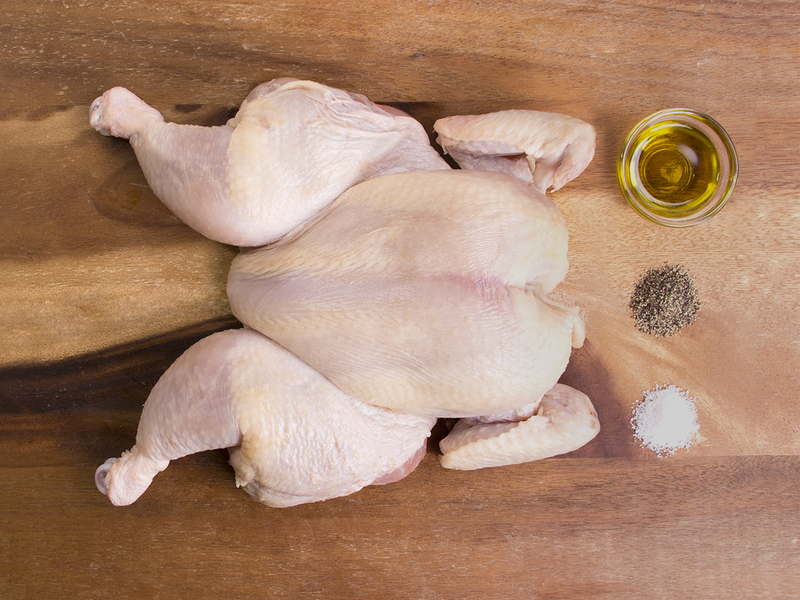 And the newest recipe weâ€™ve added to the Tovala App is for cooking a spatchcocked chicken, right? Why is that? CP: We really want to help make it easier for people to cook really well at home. Combining spatchcocking, an awesome, tried-and-true method, with the powers of wet and dry heat in the Tovala makes for a really delicious chicken that you can cook perfectly with no effort. Iâ€™m really excited to see how people like it! Learn more about cooking your favorite mealtime staples in the Tovala Steam Oven!